The taxi of tomorrow is now available! 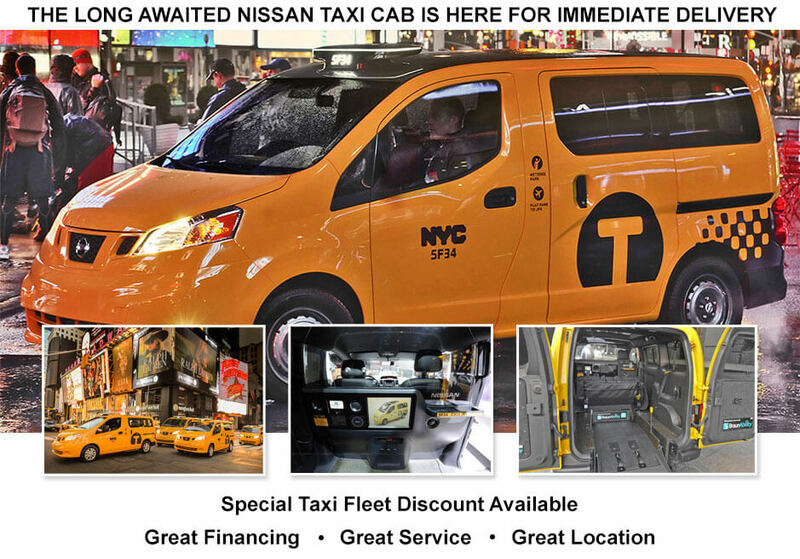 Great Neck Nissan is proud to present that we have been approved by Nissan and the Taxi and Limo Commission of New York to supply our customers with high quality NV200 vehicles. These vehicles were built by Nissan specifically for the tough streets of New York City! No taxi has ever come close with a 150,000-mile warranty! This vehicle has been custom built with owners, driver, and the passengers in mind! The entire vehicle features comfort, city driving durability, longevity, and safety. Unlike past taxi models, the taxi of tomorrow has air bags designed around the passengers’ compartment of the vehicle in case of an accident. The drivers and passengers have separate climate controls for comfort and, of course the most important, the vehicles are built for accessibility.